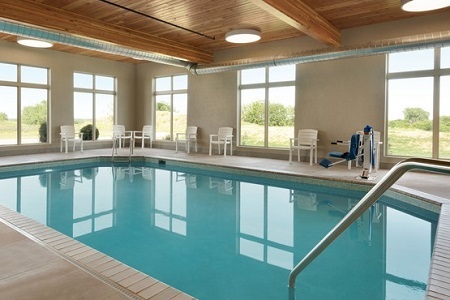 Make the Country Inn & Suites® by Radisson, Indianola, IA your home base for exploring the Des Moines area, located less than thirty minutes from the hotel. 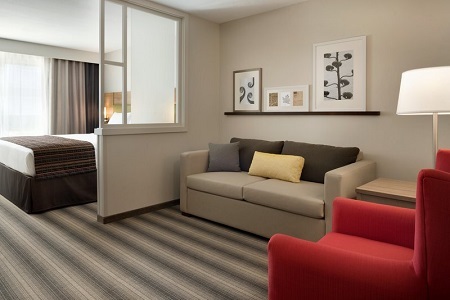 While in Des Moines, visit Blank Park Zoo or the Des Moines Art Center, or enjoy nearby attractions like Summerset Winery, the National Balloon Museum and the Des Moines Metro Opera, just minutes away from your hotel room. You can also travel less than two miles to Simpson College for a tour or a campus event. Wake up each morning to selections from the free, hot breakfast. You can indulge in a waffle with butter and syrup or enjoy eggs, toast, fruit and more. Help yourself to a second cup of coffee to get yourself fueled for exploring the cities of Indianola or Des Moines. Later, you can enjoy lunch or dinner at one of the nearby restaurants such as Brickhouse Tavern for pizza and flatbreads or Funaro’s Deli & Bakery for gourmet sandwiches and desserts. Buxton Park - Go for a stroll through the beautiful Buxton Park arboretum, featuring more than five acres of exquisite fountains, butterfly gardens, sculptures and more. The park, only five minutes from the hotel, offers opportunities for picnicking and photography. National Balloon Museum - Drive less than a mile to learn all about the history of hot-air ballooning through exciting exhibits and collections at this museum. Summerset Winery - Travel less than 10 minutes to Summerset Winery to sample wines made with locally sourced grapes. Enjoy a tour of the facilities and be sure to pick up a bottle of your favorite vintage to take home. 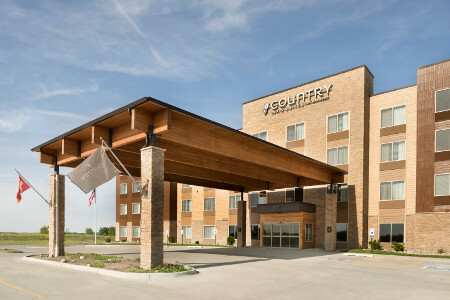 Read more about our hotel's Indianola location. 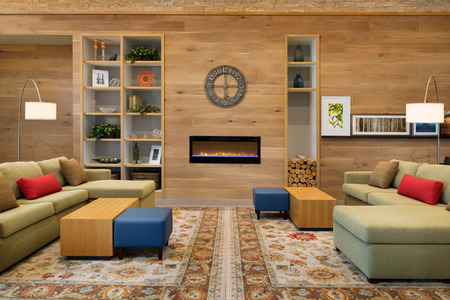 Host up to 48 guests in our hotel's flexible meeting space. 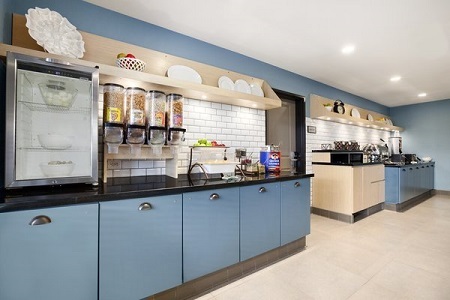 Take advantage of convenient amenities like free high-speed Internet access, a large wall-mounted TV with laptop connectivity and off-site catering options.